Every person searching for real estate or commercial properties, in the Knoxville, TN areas like Farragut, Fountain City, Maryville and Sevierville, will begin searching on the internet for top Class agents, their looking for those professional agents who market their listings using professional services, like professional real estate photography, an agent who will know to take care of their clients, an agent that will get them what they want…and you want them to come to you. 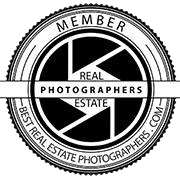 Mike ONeill photography is a local Knoxville, TN real estate services group, providing professional real estate and commercial photography; photography has plainly become the number one factor buyers look for when deciding about a property purchase. By using industry trends, and making use of them in helping to promote clients real estate property listings, encouraging buyers to go-see the listing property in person. Mike ONeill photography has become a preferred service for property sellers to market their listings.